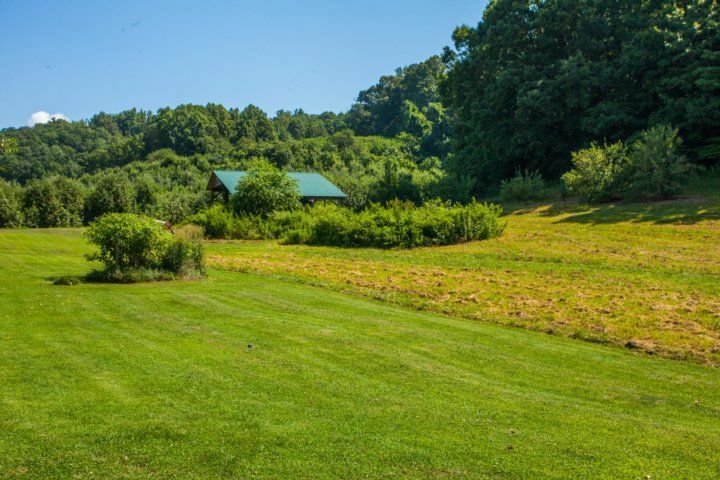 Let the fresh mountain air fill your lungs at this 5BR/5BA compound, situated on two acres of lush rolling hills. Stately interior design elements include hardwood floors throughout, large living spaces, two fireplaces, and a delightful sunroom. It?s an easy drive to Chimney Rock and Lake Lure; downtown Hendersonville. Asheville, Brevard, and Tyron Equestrian Center are also close at hand. Jump on the Blue Ridge Parkway and explore Pisgah National Forest, Dupont State Forest Preserves, and Smoky Mountain National Park. Numerous hiking and mountain biking trails traverse the area. You will also find rafting, fishing, and swimming nearby. Enjoy dining at local restaurants and browsing quaint shops. 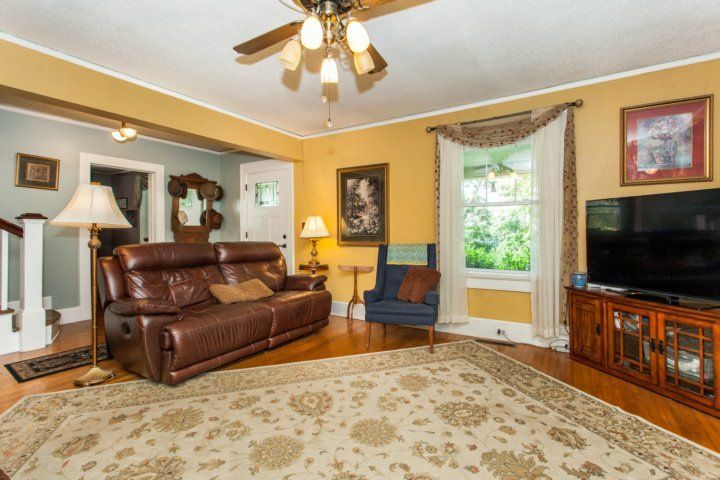 Kick back and relax in the inviting living room, furnished with a plush leather couch and love seat, as well as a 56? flat screen TV with cable. 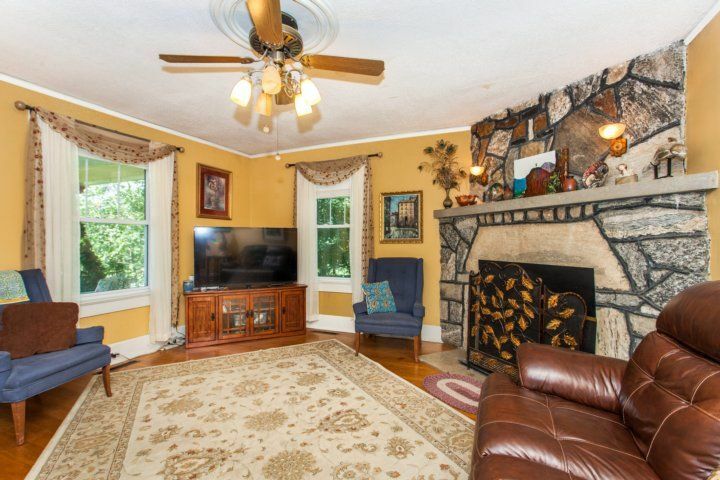 On cool evenings, curl up in front of the stone fireplace. 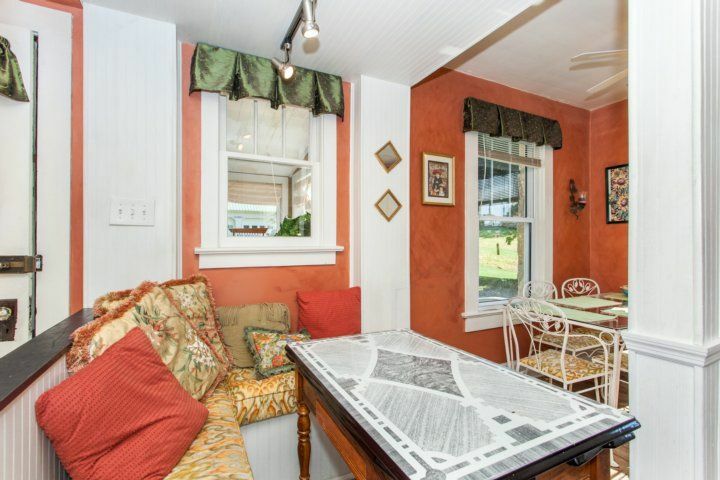 The sunroom is another great spot to spend time together. 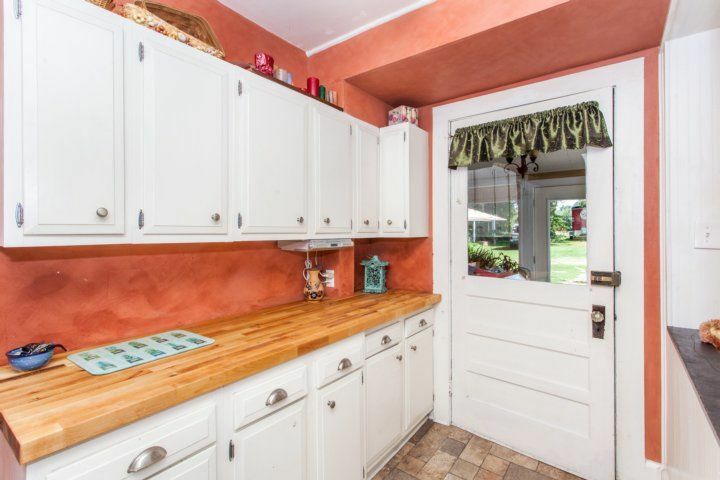 Pretty and practical, the updated kitchen has everything you need for easy meal prep ? 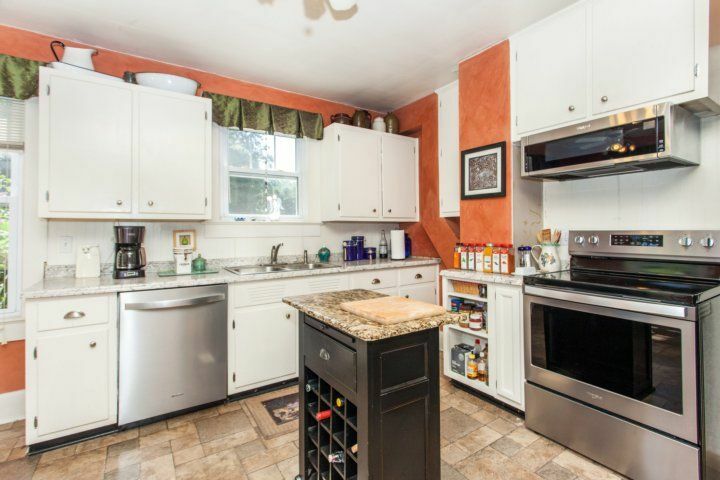 including stainless steel appliances and lots of counter space. You?ll also find plenty of thoughtful extras, like a toaster and blender. 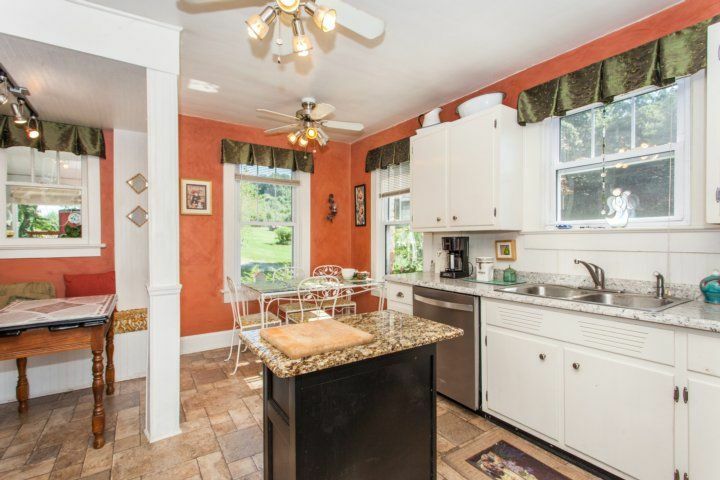 Gather for meals at the kitchen table that seats four or the built-in banquette for six. 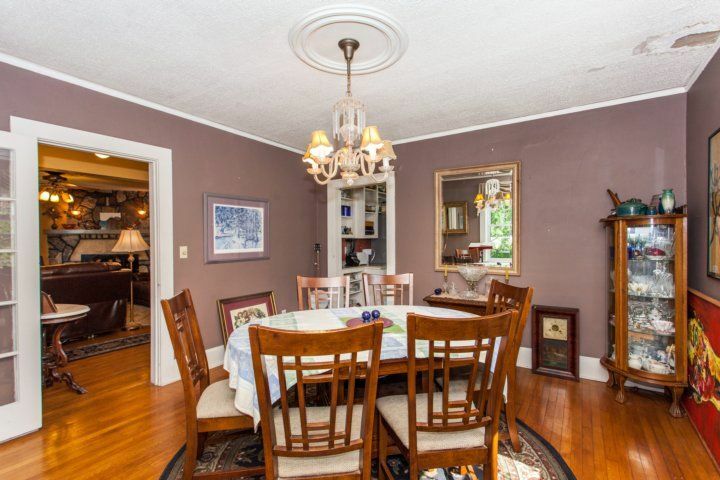 An adjacent formal dining room seats six. Or fire up the gas grill and dine al fresco on the flagstone patio at the four-person patio table with umbrella. 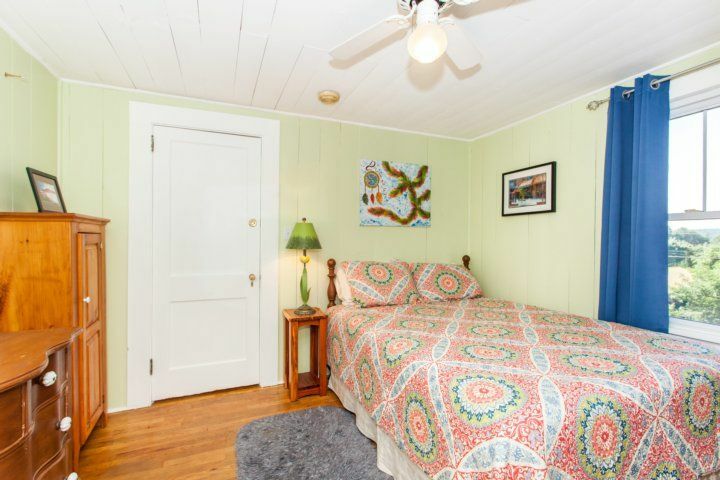 With five bedrooms, the home comfortably sleeps up to 10 guests. 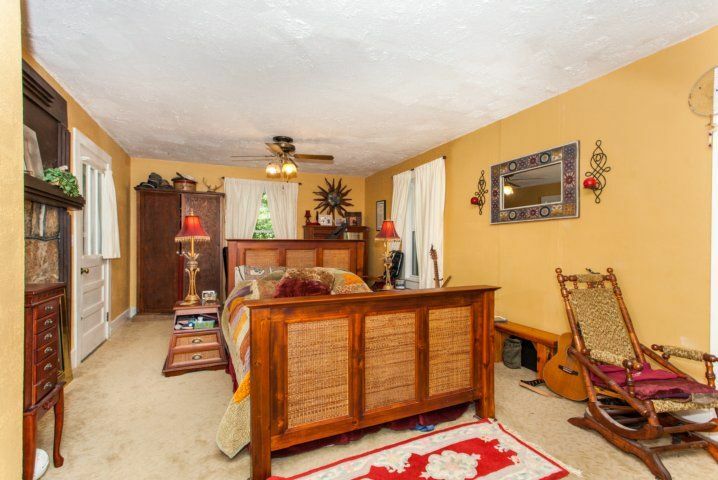 Get cozy in the main-floor master bedroom, which features a queen bed, 38? 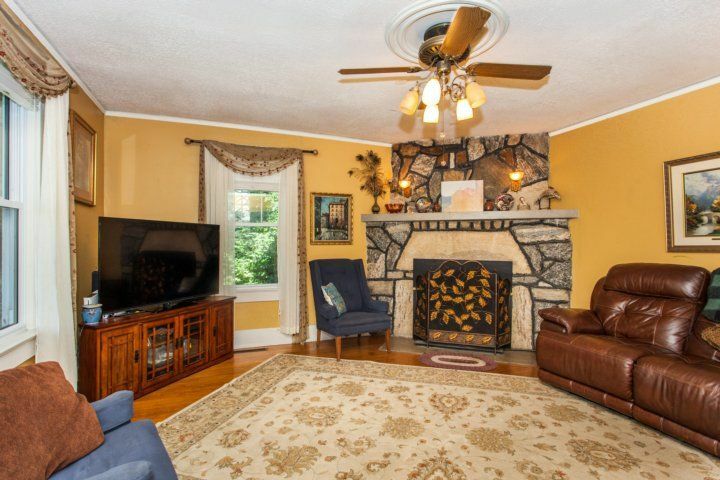 flat screen TV, and a gas fireplace. 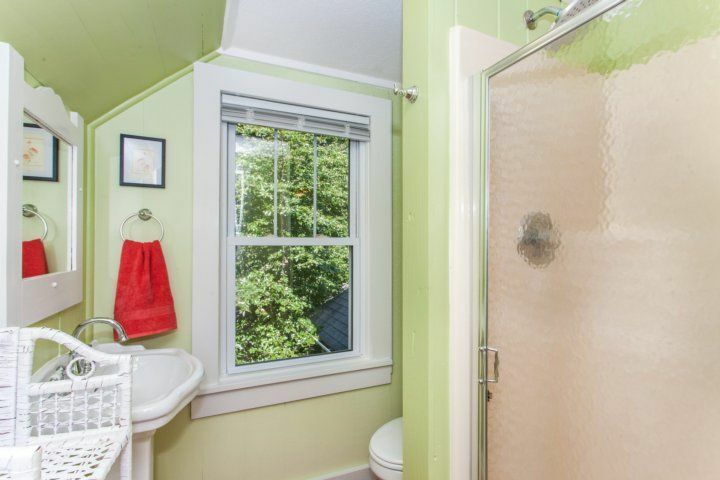 Take an indulgent soak in the jetted tub/shower combination in the en-suite bathroom. 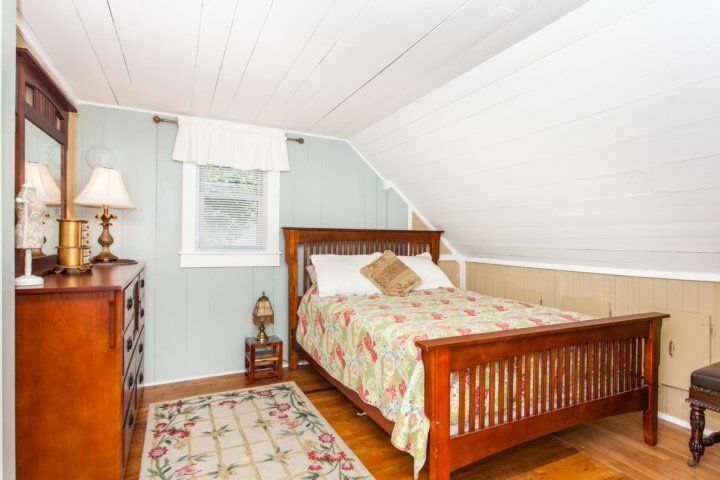 Upstairs, the second bedroom features a twin-over-twin bunk bed and en-suite bathroom with walk-in shower. Both the third and fourth bedrooms come with a queen bed and en-suite bathroom with walk-in shower ? 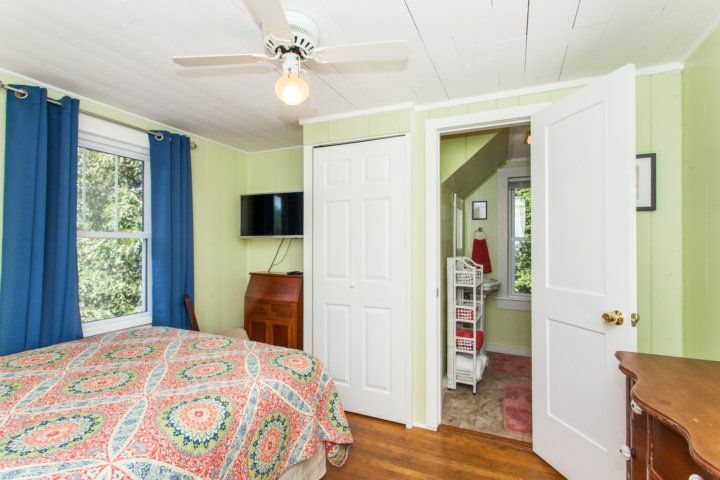 the fourth bedroom also has a 33? flat screen TV. 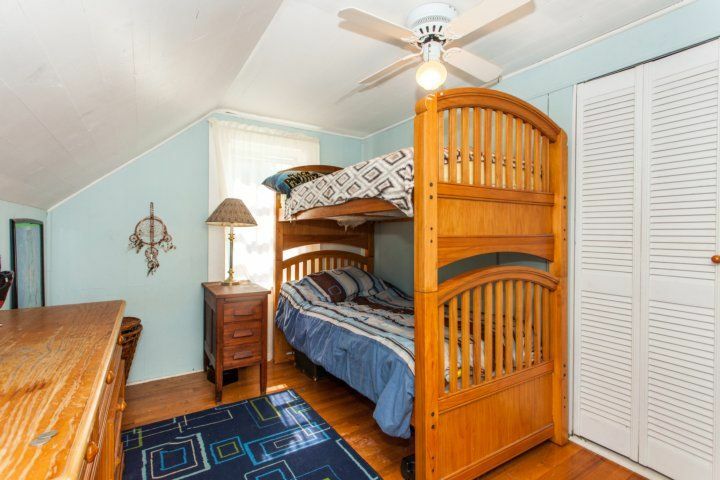 Rounding out the upstairs, the fifth bedroom has a twin day bed, 33? 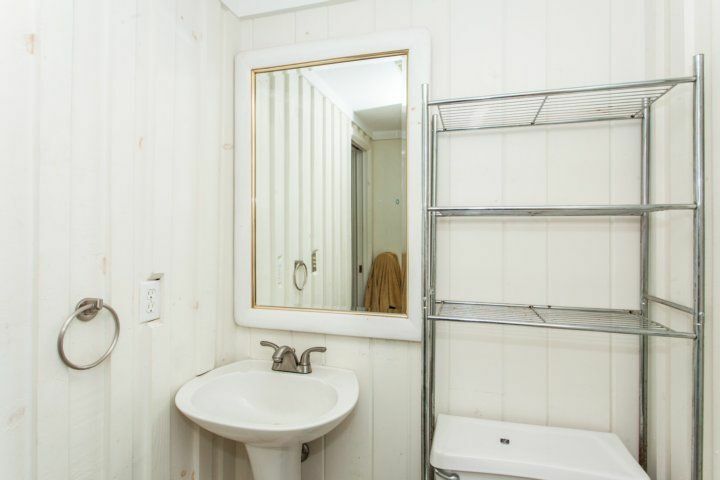 flat screen TV, and en-suite bathroom with walk-in shower. 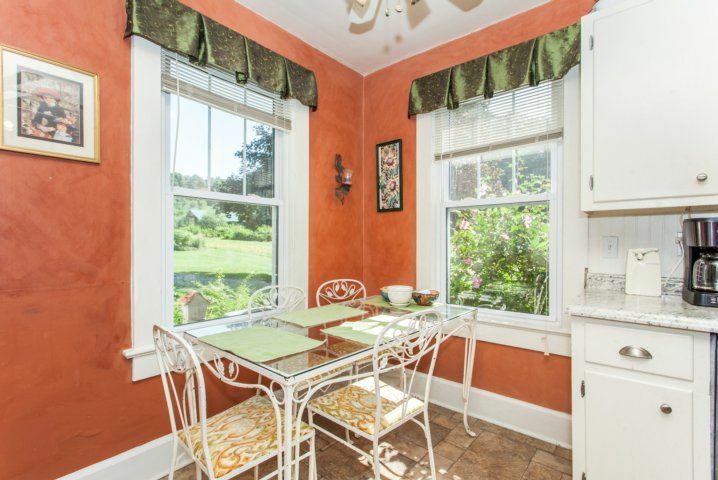 Enjoy a cup of morning coffee before you even head downstairs at the Keurig machine in the upstairs alcove. 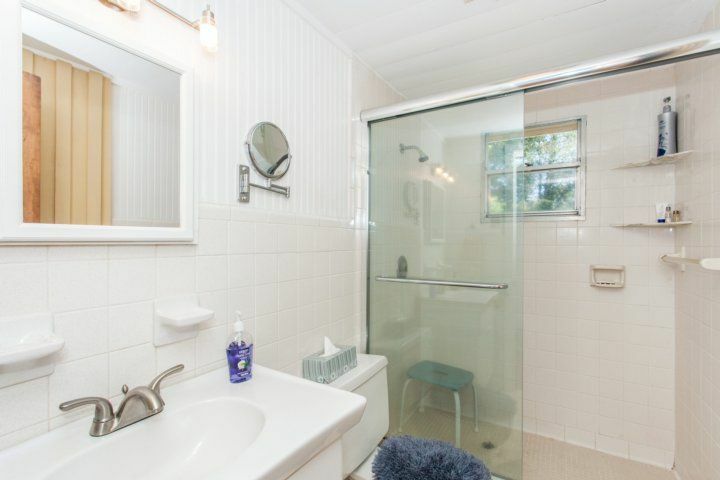 Extra perks at your rental include complimentary Wi-Fi, a washer/dryer, and parking for four cars in the long driveway. 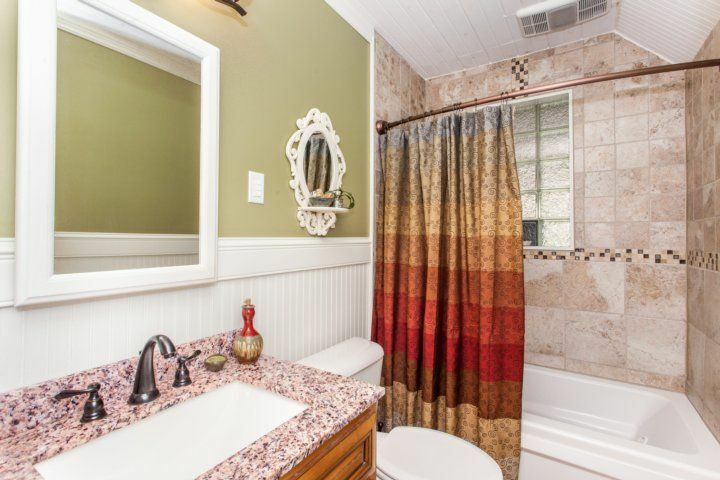 From your pretty perch in the hills, it?s a short one-minute drive down to Highway 64, offering easy access to all the best sites in the area. Chimney Rock (19 minutes) and Lake Lure (24 minutes) offer stunning natural beauty and opportunities for outdoor activities like hiking, biking, ziplining, rafting, fishing, and swimming. When dining out, head to downtown Hendersonville (11 minutes) or Asheville (30 minutes) for delicious local cuisine and cold craft beers. Explore the Blue Ridge Parkway, visiting spectacular natural spots like Pisgah National Forest Preserve, Dupont State Forest Preserve, and Smoky Mountain National Park, all within an hour?s drive.